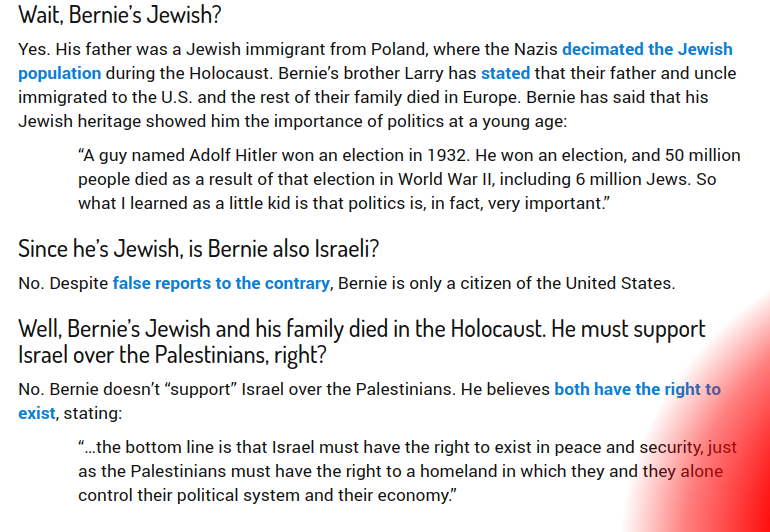 This question is all the more important in light of the growing strength of the progressive Democrats, especially in light of their support of the antisemitic statements made by Ilhan Omar and the way those statements were defended by the Democratic party -- including by Bernie Sanders himself. When it comes to his support of Israel, does Sanders face a conflict between his being Jewish and being a progressive? Can Sanders Get The Jewish Vote? 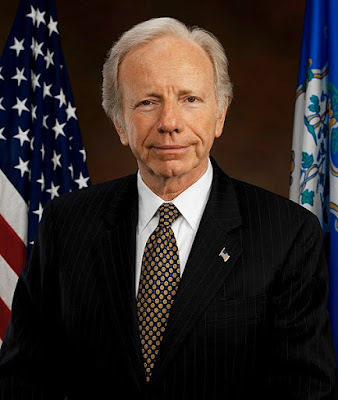 When Joe Lieberman ran as Al Gore's running mate in the 2004 presidential election, it was big news -- and Jews were enthusiastic about Gore's choice for his vice-presidential running mate. That enthusiasm was lacking in 2016. The Jewish Vermonters who know Sanders say his reluctance to make his Judaism central to his public persona is a function of his preference for the economic over the esoteric, as well as a libertarianism typical both of the state and its Jewish community – one that embraces expressions of faith and the lack of them. That may go towards understanding that while Sanders' first wife was Jewish, his current spouse, Jane O'Meara, is not. That lack of enthusiasm may explain why, as the LA Times reported in April 2016, Bernie Sanders fares poorly against Hillary Clinton with fellow Jews, polls indicate. It quoted the Sienna College Poll, which found Clinton leading Sanders among Jewish voters by a margin of 60%-38%, while the NBC/Wall St. Journal/Marist poll found an even larger gap, with Clinton leading among Jews by 65%-32%. Sanders is not actively engaged in Jewish life. He appears more committed to liberal concepts of social justice than to any specific Jewish ideals of equality. Part of the problem is that just as Sanders does not make his Judaism public, he does not go out of his way to make Israel part of his public persona either. And he is not comfortable when he is pinned down on either his Judaism or his Zionism. Ezra Klein: Do you view yourself as a Zionist? Bernie Sanders: A Zionist? What does that mean? Want to define what the word is? Do I think Israel has the right to exist, yeah, I do. Do I believe that the United States should be playing an even-handed role in terms of its dealings with the Palestinian community in Israel? Absolutely I do. He sidestepped the issue and turned a question on his personal belief into a question on policy. Interestingly, AlterNet claimed in an October 2015 article that Sanders had never appeared at AIPAC, had never appeared at a pro-Israel rally and had not traveled to the Middle East in decades. There was, however, one particular time that Sanders' feelings about Israel were forced into the spotlight. "Senator, you have dual citizenship with Israel," Rehm began, before Sanders interrupted. "Well, no I do not have dual citizenship with Israel. I'm an American. I don't know where that question came from. I am an American citizen, and I have visited Israel on a couple of occasions. No, I'm an American citizen, period," Sanders said. As the site Jewish Journal noted, the list Rehm may be referring to seems to be one that has circulated on the Internet for several years concerning U.S. government officials and members of Congress who allegedly hold dual citizenship with Israel. Rehm then asked Sanders if there are other members of Congress who do have dual citizenship, or if it is "part of the fable." Sanders said he did not know but that he was offended by her comment. "I honestly don't know but I have read that on the Internet. You know, my dad came to this country from Poland at the age of 17 without a nickel in his pocket. He loved this country. I am, you know, I got offended a little bit by that comment, and I know it's been on the Internet. I am obviously an American citizen, and I do not have any dual citizenship," he said. Here is a recording of that part of the interview. How important was it to deny any impression that Bernie Sanders is a dual citizen? The idea that someone might think Sanders has dual citizenship was enough of a concern to someone that this page, denying dual citizenship, was created. According to The Wayback Machine, their earliest copy of this page is from August 20, about 2 months after the interview with Rehm on June 10. From the recording, it is clear that Sanders was upset by the implication of dual citizenship. Now, fast forward to 2019 and see how Sanders has come out in defense of Ilhan Omar, who now makes the "dual loyalty" accusation against Jews and supporters of Israel. Sanders uses the same tactic as Omar's other defenders, sidestepping the issue of Omar's antisemitism by claiming opponents were trying to stop her from tweeting criticism of Israel: "We must not, however, equate anti-Semitism with legitimate criticism of the right-wing, Netanyahu government in Israel." Does Sanders Have A Progressive Problem? But just as Sanders has a problem in attracting the Jewish vote, he has an even bigger with his progressive base. They have some questions about his overall progressive creds -- but they have many more questions about Sanders progressive creds on Israel, especially after Operation Protective Edge in 2014. Overall, Sanders' problem with progressives is historically in the area of foreign policy. Vox has a piece on Sanders' "surprisingly mainstream foreign policy"
o In 1999, Sanders voted for a resolution supporting the 1999 US air campaign in Yugoslavia. A Nation editorial asked him to reconsider and a member of his staff, Jeremy Brecher wrote a public resignation letter: "Is there a moral limit to the military violence you are willing to participate in or support? Where does that limit lie?" o He voted for the 2001 Authorization for the Use of Force in Afghanistan, though he did oppose Obama's 2009 troop surge there. o Though he opposed both the Gulf War and the 2003 invasion of Iraq and had "reservations" about the 2011 war in Libya, Sanders came out in support of drone strikes on suspected terrorists "in a very selective way." On this issue, then, Sanders isn't far off from your average liberal Democrat. He's generally skeptical of the use of force, but willing to endorse it in very narrow and limited cases where he thinks it could save lives or advance American interests. That doesn't make him a warmonger who is "to the right of many liberal Democrats," but it is a notable divergence in his reputation as a champion of the left and challenger of the Washington status quo. Others feel the same way. Already in 2006, SocialistWorker.org, questioned A socialist in the Senate? Sanders' election to the Senate doesn't represent a radical departure from politics as usual. He may have a portrait of Eugene Debs hanging in his office, but his politics have little in common with that great American socialist. Progressives have wanted Sanders to be more forceful in condemning Israel. Before Congress’ August recess, the Senate passed a resolution unanimously reaffirming its support for Israel. Sanders did not object, but he also did not sign on as a co-sponsor. As the Daily Beast writes, Israel puts left-wing politicians like Sanders in a tough spot because their base can be critical of Israel, but not taking a pro-Israel position is politically risky. Sanders's criticism of Benjamin Netanyahu and his support for the two-state solution and Iran nuclear deal are all firmly in the liberal mainstream. On the left, the discussion has moved on to whether people and institutions should boycott and divest from Israel so long as it occupies Palestinian land. AlterNet, October 10, 2015: The Backstory on Bernie Sanders and Israel-Palestine: Why Is He So Quiet About the Mideast Tragedy? Since that town hall [in 2014], questions about Palestine have dogged him...There is some evidence that these criticisms have started to make an impact on Sanders' approach. In the last month, his campaign finally started to roll out foreign policy platforms on his website. The platform repeats much of the same U.S. foreign policy mantras about the need for a two-state solution and Israel's right to defend itself, but also condemns “disproportionate” violence by Israel and killings of civilians by the Israeli army. Most notably, the platform calls for Israel to end its blockade of Gaza, a topic all but forgotten in U.S. discourse. The Nation, April 15, 2016: Bernie Is Speaking the Truth About Israel-Palestine: Why did he suspend his staffer for doing the same? That’s why it was so disappointing that, only a few hours earlier, the Sanders campaign suspended one of its young staffers, Simone Zimmerman, who served only briefly as its Jewish outreach coordinator. Zimmerman’s sin was to call the right-wing Israeli Prime Minister Benjamin Netanyahu an “a**hole,” adding “F**k you, Bibi,” using his nickname, for good measure, in a Facebook post last winter, when she was all of 24 years old. Sanders supports a two-state solution, one for Israelis and another for Palestinians. While he can be critical of Israel, he does not refrain from criticizing Palestinians as well...That's a stark contrast to the socialist left, which generally sees Israel as a racist, colonial aggressor. Increasingly, leftists advocate a one-state solution to the conflict. James Zogby, the head of the Arab American Institute and a longtime party activist, read aloud a proposed amendment in an unmistakably Midwest accent. Zogby wanted to add language that would explicitly mention Israel’s occupation and strip out the platform’s condemnation of the movement to boycott, divest from, and sanction Israel (BDS)...Zogby mentioned several times that the proposed changes had come from Bernie Sanders himself. Sanders began his campaign avoiding foreign policy altogether, but eventually became more outspoken on the Israeli-Palestinian conflict, taking Netanyahu to task not only for the Israeli settlement project and continued occupation but also for Israel’s conduct of the 2014 war against the besieged Gaza Strip. In his memoir "Outsider in The House", Sanders writes about his years as mayor in Burlington, Vermont, “[H]ow many cities of 40,000 have a foreign policy? Well we did...I saw no magic line separating local, state, national and international issues.” But what was a novelty as mayor became expected when Sanders declared his intention to go to Washington. Caught between being pro-Israel and critical, he tries to walk a fine line, being critical of Israel while adopting a pro-Israel stance and standing up for Palestinian Arab rights. That position puts him to the right of his base, which accuses Israel of Apartheid, racism and occupation. That position does not always go over well. Here is an excerpt from a town hall meeting in August 2014, when Sanders was heckled for supporting Israel. Once he regains control of the discussion, Sanders sidesteps the issue by changing the topic of the discussion to ISIS, just as he avoids answering the question as to whether he is a Zionist. In recent years, the argument has become even fiercer as discussion has moved from general questions of Israel's right to exist, to the pointed debate over BDS and the occupation. Again, Sanders takes the middle road -- not supporting the BDS movement outright, but still opposing anti-BDS legislation. But not surprisingly, his criticism of Israel does become sharper, as AlterNet claimed above in the quote from October 2015. 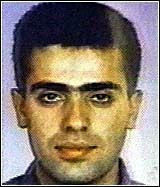 "Was Israel's response disproportionate? I think it was," he told CNN's Jake Tapper in an interview that aired Sunday on "State of the Union." Sanders: I think it is fair to say that the level of [Israeli] attacks against civilian areas…and I do know that the Palestinians, some of them, were using civilian areas to launch missiles. Makes it very difficult. But I think most international observers would say that the attacks against Gaza were indiscriminate and that a lot of innocent people were killed who should not have been killed. Look, we are living, for better or worse, in a world of high technology, whether it’s drones out there that could, you know, take your nose off, and Israel has that technology. And I think there is a general belief that, with that technology, they could have been more discriminate in terms of taking out weapons that were threatening them. I’m just telling you that I happen to believe … anybody help me out here, because I don’t remember the figures, but my recollection is over 10,000 innocent people were killed in Gaza. Does that sound right? 10,000 killed is a massive exaggeration, far more than even Hamas terrorists claimed. But in the interests of accuracy, in the previous month, on March 21, 2016, during that talk in Utah, Sanders got the number right. The United Nations has estimated that 2,104 were killed, including 1,462 civilians. Understanding that his recollection was about the total number of casualties, not the death toll, the senator immediately accepted that correction and the discussion moved on to other topics. But by the same token, he accepts the claims of the number killed at face value, despite the fact that it is based on the numbers provided by the Hamas terrorists themselves. He also makes no mention of the measures Israel takes to avoid casualties. And we saw in the quote of his condemnation of the Gaza blockade that Sanders accepts the claim of water inequality. Again, there is no mention of Israel taking measures to avoid casualties, nor any mention of rioters being anything but peaceful, of their having weapons or of their attempts -- sometimes successful -- of breaking through the barrier into Israel. Nor is there mention of Hamas terrorists being among the "unarmed protesters." 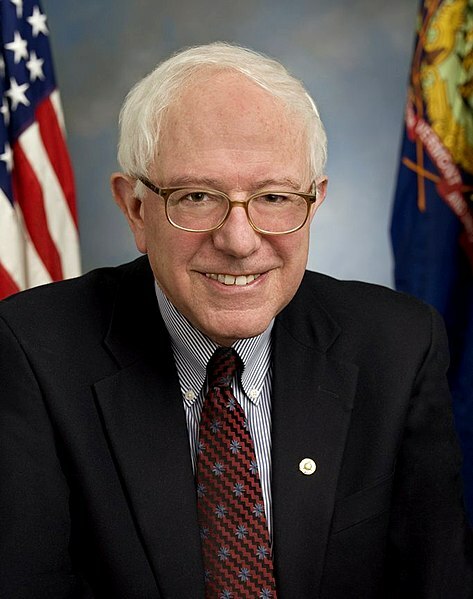 According to The Vermont Cynic, the University of Vermont's newspaper, Sanders came out even stronger against US arms support for Israel, saying "It is wrong that the United States provides arms to Israel. We are not going to be the arms merchant for Middle Eastern nations." "The quote does not support [the assertion that] Sanders wanted to end all military aid to Israel, and doing so is a misinterpretation of old quotes,” Sanders campaign spokesman Michael Briggs said in a Sept. 3 email to the Cynic. “He didn’t call military aid to Israel wrong,” Briggs said. “Bernie does not and has not ever supported cutting off arms to Israel and that has never been his position,” he said. The fact remains that the video above does show Sanders suggesting withholding arms, even from Israel, as an option. So who is advising Sanders on Israel? Unsurprisingly, some Sanders staffers have also worked with the American Israeli Political Action Committee (AIPAC)--including David Sirota, now a Democratic Party strategist, and Sanders' former communications director Joel Barkin. Putting aside their error in claiming that AIPAC is a "Political Action Committee" when it is, in fact, a "Political Affairs Committee" and does not directly fund politicians as J Street does -- it's not clear what the fuss was all about. David Sirota was with AIPAC for all of 4 months (from about the end of 1998 to 1999), when he joined Sanders, according to his tweet in December. As for Barkin, according to his LinkedIn profile, he was with Sanders for 3 years, ending in 2005, a year before that post. But now, Sanders' choice of advisors seems to be going in the other direction, with 2 of his advisors holding distinctly anti-Israel views. During their tenure at CAP, Duss and Shakir emerged at the forefront of a scandal involving several Think Progress bloggers who accused pro-Israel Jews and members of Congress of being "Israel firsters," a term implying that those who support the Jewish state have dual loyalties. The scandal rocked CAP for several months and drew condemnation across the board, including from the Obama administration, which distanced itself from Duss, Shakir, and the rest of Think Progress's former staff. Shakir—who initially remained silent as controversy swirled around Think Progress's use of anti-Semitic language—later said in a leaked internal email that his employees used "terrible, anti-Semitic language" when invoking the "Israel firster" term. Duss also stood on the sidelines at the time, declining to condemn the anti-Semitic language. Numerous articles penned by Duss and other CAP Action Fund bloggers were said "to be infected with Jew-hatred and discriminatory policy positions toward Israel," according to the Simon Wiesenthal Center, which combats anti-Semitism. ...Rabbi Abraham Cooper, associate dean of the Simon Wiesenthal Center, was a vocal critic of both Duss and Shakir during their time at CAP. He told the Free Beacon during a Tuesday interview that Sanders's decision to elevate the two staffers to the top of his political organization is "troubling." These 2 advisors are no improvement over Simone Zimmerman, Sanders' Jewish outreach coordinator, who was let go after a profanity-filled attack on Netanyahu. But again this calls into question Sanders' support of Ilhan Omar who, like Duss and Shakir during their time with CAP and Think Progress, accused Israel supporters of having dual loyalty. What's in store for Bernie Sanders? It is tempting to look at Sanders' record on Israel and say it is more ambivalent than balanced, and will weaken his draw of the Jewish vote, even without Clinton in the picture. But the Jewish vote is not a matter of logic. Predicting that Sanders will fail to attract the Jewish vote is like predicting that Jews will run from the Democrats and turn to the Republicans because they show more support for Israel and did not join the Democrats in whitewashing antisemitism in the recent House vote. But Jewish political support is not based on hard facts and political math, and long-term political habits can be hard to break. Of course, just because Jews are likely to continue to vote Democratic, doesn't mean they will vote for Sanders. 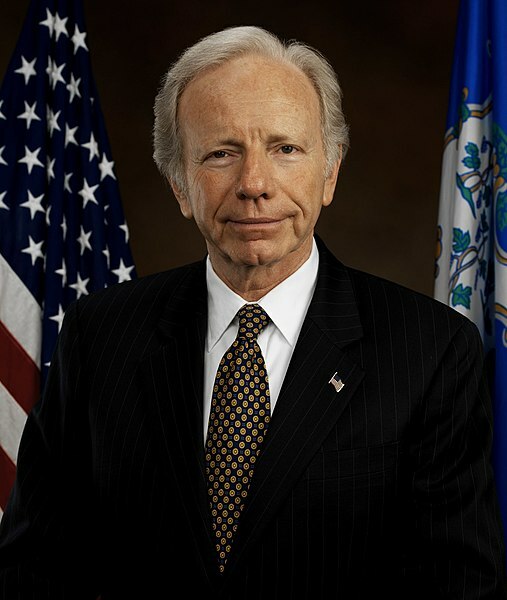 Jews were enthusiastic for Lieberman, not because he was a religious Jew, but because he was a public Jew and proud Jew. Sanders, on the other hand, does not seem to come across as a proud Jew in the same way when he deals with public situations that come up. Of course, the onus is still on his opponents to draw the Jewish vote away from him and it does not seem as if any of them have the history and connection that Clinton had with the Jewish community to will enable them to do that. When it comes to the progressive vote, Sanders may have stronger ties by virtue of a longer history of being very public in his progressive persona. Some may have questioned his overall progressive creds, but the main flashpoint in questioning his progressivism could be Sanders' stand on Israel. The Democratic left is getting increasingly loud on the issue and is successfully undermining support for Israel in the Democratic party. For decades he has said that he has no magic solution for the conflict, that supports Israel though he supports it and that he supports a Palestinian state though he condemns Hamas terrorist attacks. Till recently, that has been enough. But over the past few years, Sanders himself seems to have moved further to the left, adding accusations of Israel of using "disproportionate" force, that Israel should stop blockading Gaza, and opposing measures to fight BDS, (though he has come out publicly that he does not support it) to his repertoire. But despite his overall stronger progressive creds, Sanders' opposition consists of younger candidates who arguably are more in tune with the left. The Democrats running for president could mimic Sanders on Israel or choose to move to the left of him to make him appear more establishment. He could be especially vulnerable in this regard if Sarsour, Omar and Tlaib can continue to push the goalposts of what is acceptable discourse when it comes to socialism as well as Israel. Just wait till the Democratic platform at the convention. It is a Jewish issue. It is also a progressive issue. And it may play a part in the upcoming election. I enjoyed your detailed article. I now better understand why I’m not a Bernie fan. I guess I'm still perplexed. I read "The 13th Tribe" by Arthur Koestler, made repeated trips to Israel, lived a year of my life in Tunisia when it still had a significant number of Jewish citizens, lived and went to school in Germany, and visited Communist East Germany. Yeah, I also worked in Communist Romania in the 1970's. I don't believe Jews can be classified as a biological race, not even as two distinct races synthesized. Many Jews apparently disagree, and claim some special genetic inheritance that makes them special, and maybe smarter. Maybe they’re racists? I attended a synagogue observantly when young. I minored in Philosophy in College. I viewed Judaism as a distinct theology, which also exists as a secular philosophy. Socially, Judaism exists as an ethnic culture with a specific ethic. Judaism is something intellectual, with a specific identity, with limits fixed by its underlying axiomatic concepts, its principles, and its laws. There are also many who, while ostensibly Jewish, have rejected Judaism, and I'll group them together as apostates. Marx is an example. He recorded his hatred for the Jewish religion and the cultures that arose from Judaism. Marx was a JINO, Jewish In Name Only. So what’s Jewish about Bernie? He and his first wife spent 3 months in a Kibbutz, and then split, from Israel, from each other and apparently from Judaism. Does it say somewhere in the Torah: Once a Jew, always a Jew? Can anybody, or can everybody, be a Jew and practice whatever? Was Trotsky a Jew? Were the Rosenbergs Jews? I assume that not everybody can be Jewish. Instead of agonizing over “Who is a Jew?” try telling me “What is a Jew” while standing on one foot. I understand who and what Bernie is, thanks to your excellent article, but I still don’t like him or the Socialist and Communist Utopians he closely resembles. I also assume that Bernie is not really Jewish, even if he once was. Does that make me an anti-Semite? …Please take a clear stand for what you believe in. That’s your purpose in life. Thank you. Judaism, like Islam, entails a language, a religion, ethnicity, culture and more. Genetic papers have been published tracing common genes among Jews (especially Cohanim) which illustrate there is more here than just a belief.